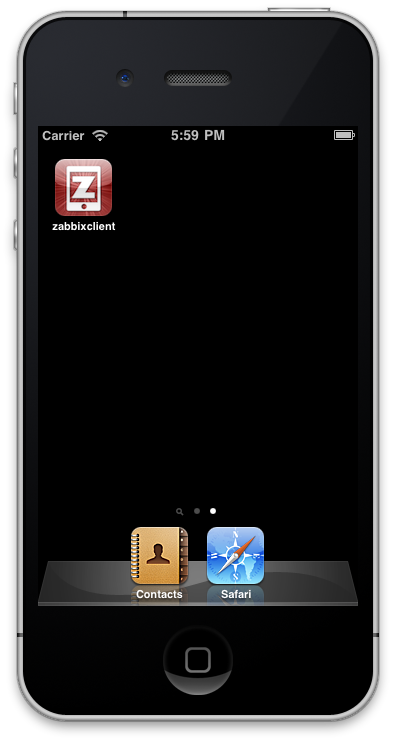 Log in to Zabbix web interface with account who has “Super Admin” authority. 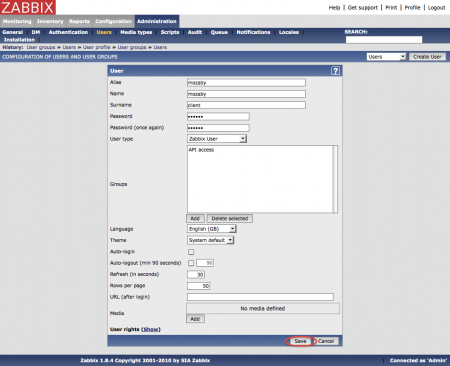 Click [Administrator] – [Users], and select “User”. 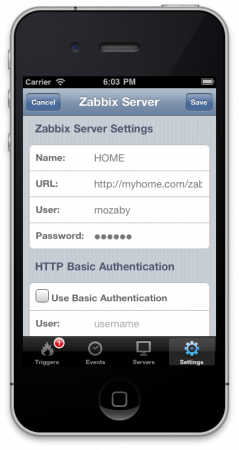 Select or create user account who use in mozaby. Click “Add” on Group section on Configuration of User screen. 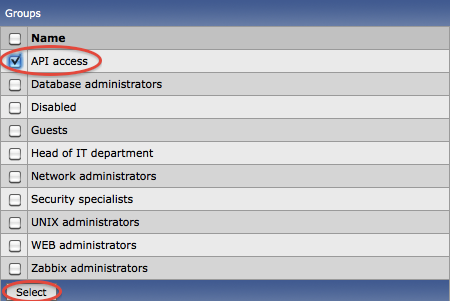 Check “API Access” on user group selection, and click “Select” button. 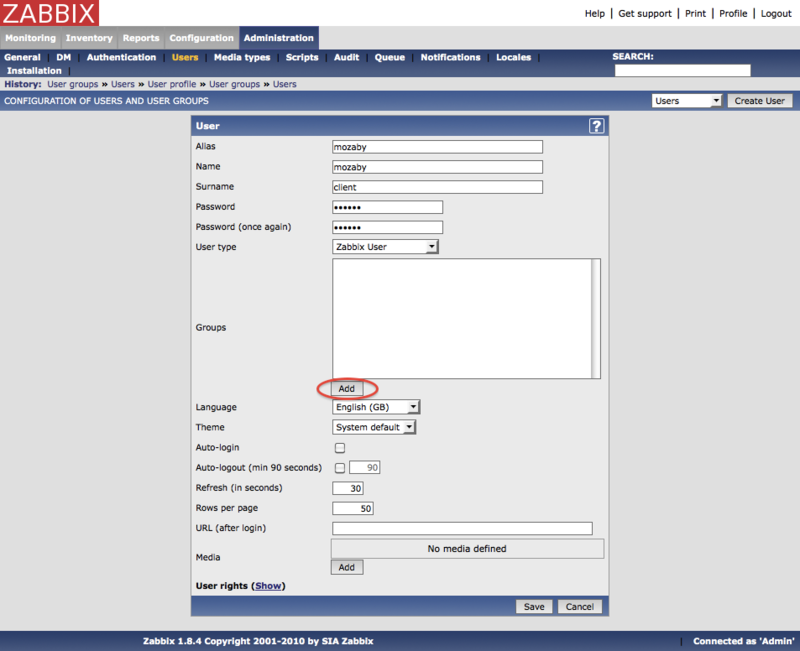 If the account has “Zabbix User” authority, it is neccesary to check user group(s) which have read authority to host group as well. 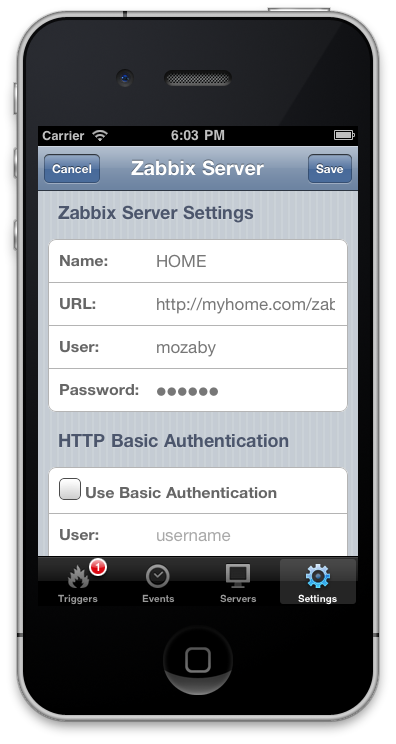 Confirm changed or added user’s “API access” column is “Enabled”. 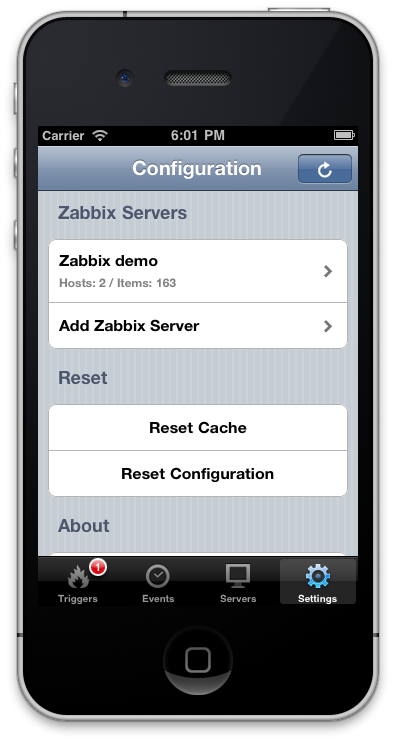 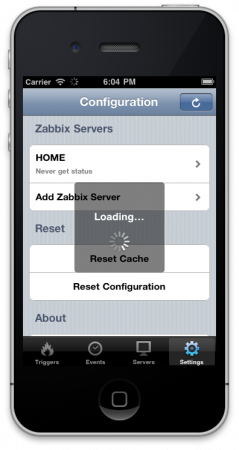 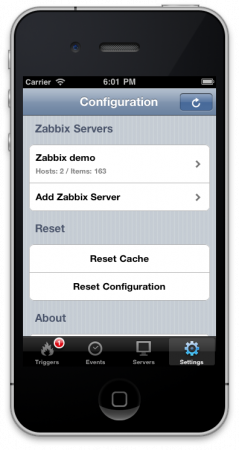 If there is not any configured Zabbix Server, Mozaby uses demo Zabbix server. 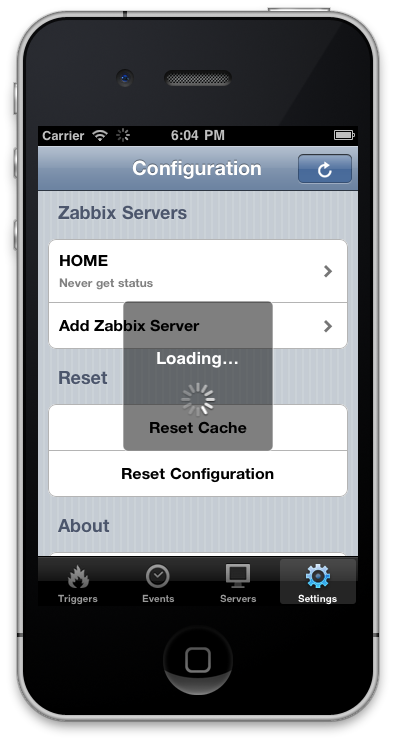 Tap “Settings” on tab bar. 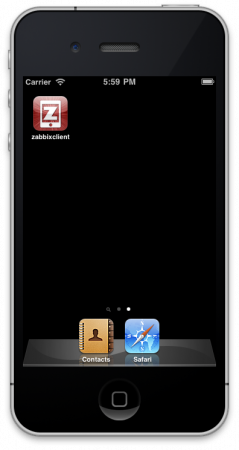 Copyright © 2011 Kodai Terashima.